Suffolk County Police Homicide Squad detectives are investigating the death of a woman whose body was found in a Huntington nature preserve this morning. Fernando Romualdo, 28, of Huntington Station, was arrested for the 2013 murder of Sarah Strobel. Update - June 16, 2016 - Suffolk County Police today arrested a Huntington Station man for the murder of Sarah Strobel in 2013. Romualdo, 28, of Huntington Station, was incarcerated at Mohawk Correctional Facility located in Rome, NY, for an unrelated charge at the time of his arrest. Romualdo has been arraigned and is currently being held without bail at the Suffolk County Correctional Facility in Riverhead. The original press release and earlier update is below. Update - October 3rd, 2013 @ 7:20 PM: Sarah Strobel, 23, of 11 East 6th St., Huntington Station, has been identified as the woman whose body was found in a nature preserve in Huntington this morning. Huntington, NY - October 3rd, 2013 - Suffolk County Police Homicide Squad detectives are investigating the death of a woman whose body was found in a Huntington nature preserve this morning. Police responded to the Froehlich Farm Nature Preserve after a person walking on a path noticed the body of an adult female off to the side of the path at 8:50 a.m. The woman, who has yet to be identified, was pronounced dead at the scene and her body will be transported to the Office of the Suffolk County Medical Examiner where an autopsy will be performed. 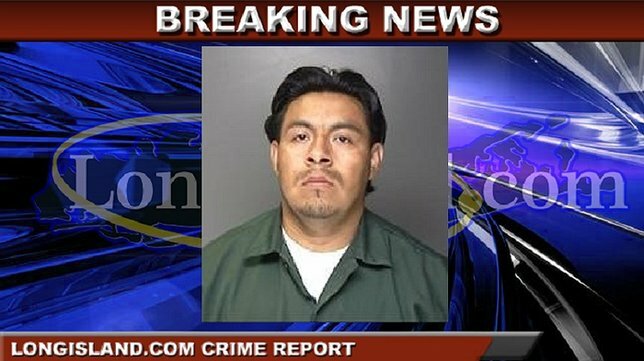 Date/Time: Thursday, October 3, 2013 at 8:50 a.m.
Subject: LongIsland.com - Your Name sent you Article details of "UPDATE - Woman Found Dead in Froehlich Farm Nature Preserve"